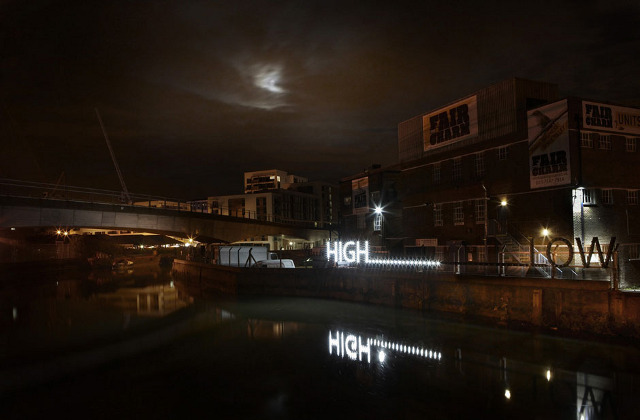 HIGH…LOW is an artwork developed by Shona Kitchen in collaboration with Dominic Robson which reflects the current tidal state of Deptford Creekside in London. 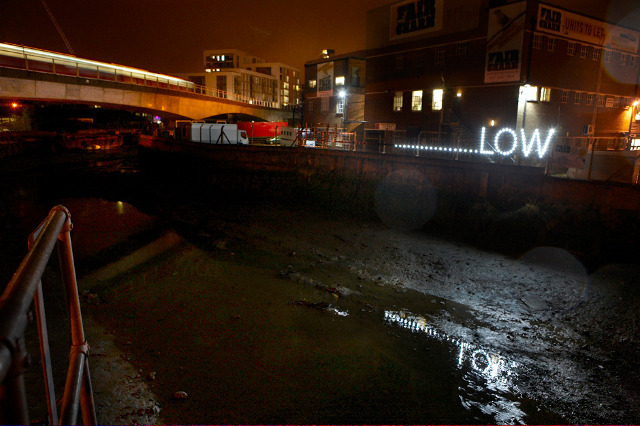 Positioned opposite the Ha’Penny Hatch footpath and in parallel with the train line a wall of 5ft high letters flash according to the level of the water. Working alongside Dominic I created the electronic control system which translates the astronomical tidal predictions into the patterns of flashing lights. Among the installation restrictions of the system were that it could not monitor the water level itself, or have an active network connection so it had to store the upcoming tide tables for the next 20 years. 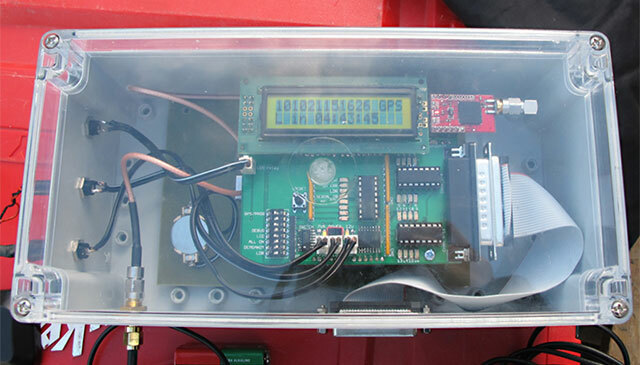 Based around an Arduino it uses a GPS Receiver to set the clock and maps the stored tidal curves to animations played out over the 16 relays controlling the lights.